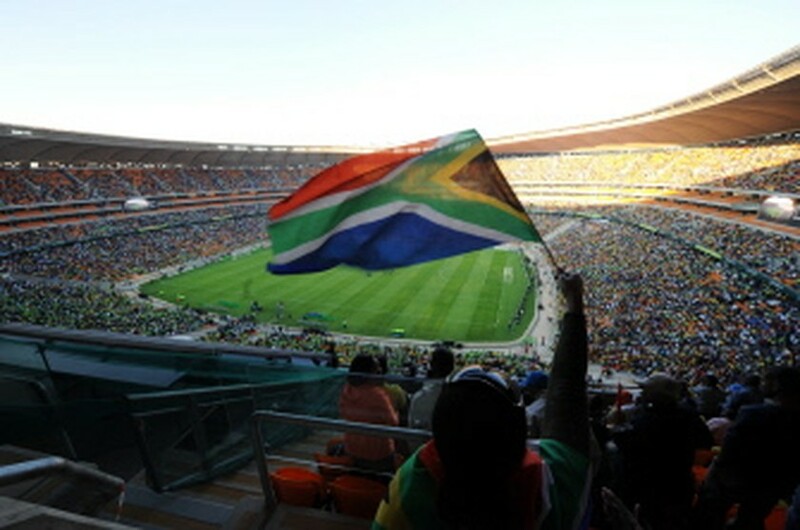 JOHANNESBURG, May 23, 2010 (AFP) - Nelson Mandela, home advantage and plastic trumpets are among the elements South Africa hope will help them survive the humiliation of a World Cup first-round exit next month. Becoming the first country not to progress beyond the mini-league first phase is a real prospect for arguably `the weakest football nation bestowed the honour of staging the four-yearly international football showpiece. A place among the eight top seeds ahead of the Cape Town draw last December was supposed to help Bafana Bafana (The Boys), but it actually hindered a team ranked 90 in the world. South Africa occupy Group A with former winners France as well as Uruguay and Mexico, all top-20 national teams in the latest rankings from world rulers FIFA. Bookmakers see little hope for the first African country to stage the 80-year tournament, making them outsiders behind favourites France while Uruguay and Mexico share the same odds. But South African supporters, who move about Johannesburg suburbs with mini national flags fluttering from car windows in the autumn breeze, are praying football can deal another miraculous hand. While there have been no public announcements, it would be surprising if the Aaron Mokoena-captained squad and Brazilian coach Carlos Alberto Parreira did not receive a special invitation before the June 11 kick-off. Bafana Bafana will be asked to make the short trip from their hotel in an exclusive suburb of the financial hub to shake hands with an elderly, greying man revered around the world for his sacrifices on behalf of democracy. Retired from public life, Mandela is blessed with many gifts and one is lifting national teams to unimagined heights like the 1995 Rugby World Cup-winning Springboks and the 1996 African Nations Cup-winning Bafana. Linda 'Innocent' Buthelezi was the South Africa midfield 'enforcer' 14 years ago and told AFP how Mandela arrived unexpectedly at the team hotel on the eve of the African final against Tunisia. "He is so humble, his speeches so inspirational, and he has a great sense of humour. As we were introduced, I hugged him. Instead of taking time off after his visit, the squad redoubled efforts to conquer the continent. "He told us he spent 27 years in jail and we must now spend 90 minutes on the football pitch defending the honour of the country and lifting the Nations Cup. "All the players, black, white, coloured (mixed race), sensed then the Cup would be ours. How could we let down this great man who gave so much that we could play international football after decades in the wilderness?" South Africans call it 'Madiba magic' - the special effect the first freely elected president of the country has on those he meets and while winning the World Cup is beyond Bafana, a second-round place would do nicely. Scientific tests show the much-trumpeted vuvuzela ('to blow' in isiZulu) can cause ear damage, but FIFA has resisted pleas from some of the 32 World Cup qualifiers to ban the instrument from the 64-fixture extravaganza. To Mexico goes the honour of featuring in the opening match and apart from 11 South Africans, they are set to face a sell-out 90,000 crowd with many blowing the trumpets and transforming Soccer City into a deafening fortress. Victory over more experienced and better prepared Mexico is all but essential to survival and South Africans dream they can take at least a point off 1930 and 1950 champions Uruguay before tackling 1998 winners France. This is not a great Bafana squad, perhaps not even a good one with a solitary star performer in wide midfielder Steven Pienaar from Everton, but 1994 Brazil World Cup-winning coach Parreira claims nothing is impossible. "Many say we will not make it, but we do not have to listen to everyone who has an opinion. The most important thing is to concentrate on our priority and that is to go beyond the group stage."